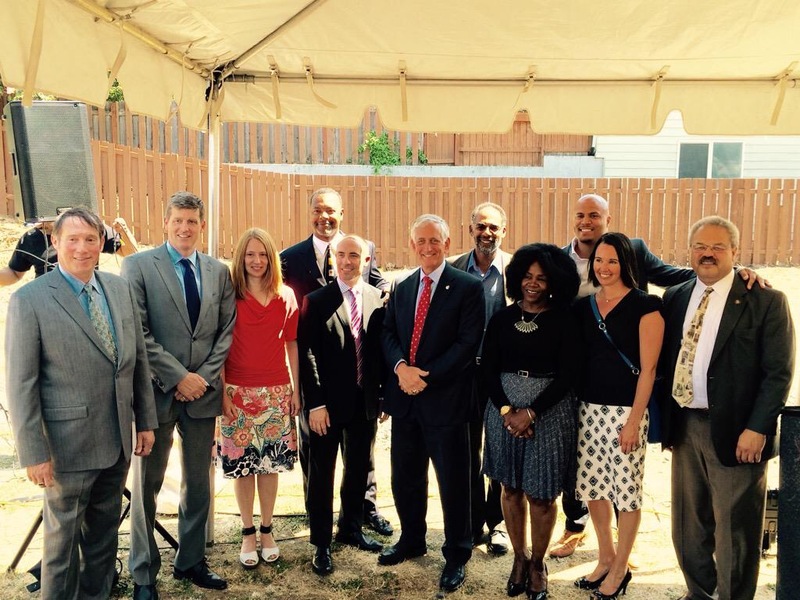 The Beatrice Morrow: FAQ - Portland Community Reinvestment Initiatives Inc. 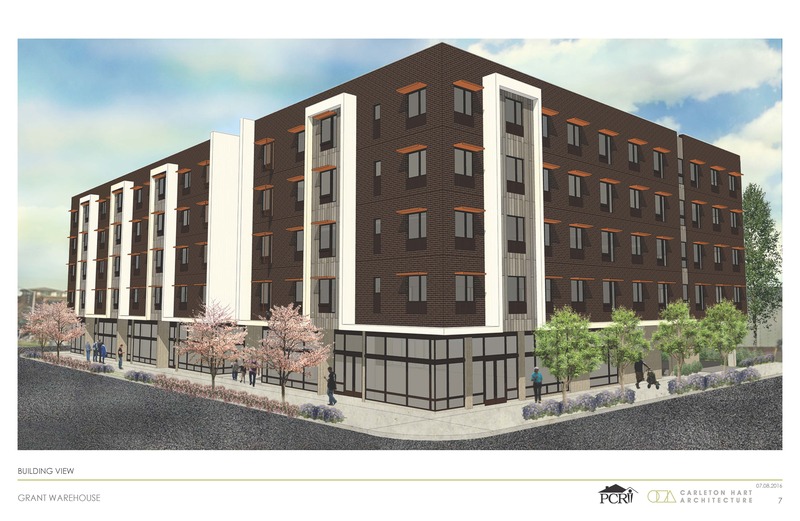 In fall 2015, Portland Housing Bureau selected Portland Community Reinvestment Initiatives, Inc. (PCRI) and Gerding Edlen in partnership with Colas Construction and Carleton Hart Architects to redevelop the former Grant Warehouse site on NE Martin Luther King Jr. Blvd. between Cook and Ivy Streets. The project design is under development, but answers to many common questions are provided below. If you have questions not answered below, please email Travis Phillips or call (503) 288-2923. Q: How can I stay informed about the project? A: To stay informed, we recommend signing up for our e-news. Be sure to check the “I’m interested in” box for Grant Warehouse news. 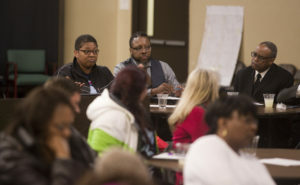 The project team also hosted a community forum and multiple meetings with community members. This page has been updated with details from those meetings. Dates for additional community events will be posted here and shared via our e-news, in addition to other media. Q: How many apartments will there be and what size? How big will the building be? 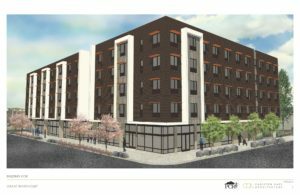 A: In their Request for Qualifications (RFQ), Portland Housing Bureau stated the project should incorporate at least 45-70 family-sized rental units, meaning two- to three-bedrooms, as well as community-serving commercial space. The completed building will include 80 units, with the majority of these apartments having at least two bedrooms. Storefront commercial space is envisioned along Martin Luther King Jr. Blvd. Details about the size of individual or overall commercial spaces are still being confirmed. The completed building is likely to be similar in size (massing, height) to other newer developments nearby. A conceptual rendering by Carleton Hart Architecture is pictured below. Q: How much will the rents be? PLEASE NOTE: the income and rent levels below are intended as a general guideline and are subject to change. Some subsidized units may be available to households earning at or below 30% of AMI, in which case, monthly rent will be set at approximately 30% of a household’s income. Applicants must meet income restrictions established by the City of Portland’s Housing Bureau. More information can be found on the Portland Housing Bureau website. Q: How do I get on the waiting list? A: A waiting list is not yet available. It is expected that a waiting list will open a few months before construction is complete. To stay informed, we recommend signing up for our e-news. Be sure to check the “I’m interested in” box for Grant Warehouse news. Q: When will construction start and how long will it last? A: Construction began in May 2017. We anticipate construction will take approximately 14 months, with completion and resident move-in expected in summer 2018. This schedule is subject to change. Q: Who will live in the new building? A: PCRI residents come from all walks of life. They are your cashier at the grocery store, your nurse at the doctor’s office, your bus driver, or the EMT in the ambulance which passed you on the road recently. Many residents (like Rachel, Betty and the Shaw family) utilize the stability of their PCRI home as a stepping stone to homeownership. For the new apartments at The Beatrice Morrow, PCRI anticipates establishing a waiting list separate from our other properties. In an effort to mitigate forced displacement from rapidly-changing neighborhoods, current and former residents of North and Northeast Portland may receive waiting list priority. Additionally, PCRI has agreed to utilize a preference policy established by Portland Housing Bureau, which is still in draft form (when available, we will post additional information and a link to the Housing Bureau’s policy). PCRI embraces Fair Housing standards and strives to go above and beyond these standards to ensure equity and opportunity for all residents. PCRI is planning to host pre-leasing assistance for prospective residents several months prior to project completion in order to help prepare applicants and resolve potential barriers to tenancy. Applicants will be subject to third-party background checks. As with other PCRI homes, our leases detail expectations that all residents maintain our high standards of property maintenance and neighborly behavior. Q: How will this impact my property? A: Developing a high-quality building with new homes and commercial space will improve the appearance of the neighborhood by improving a currently-vacant lot. Professional landscaping and maintenance will ensure the building remains attractive for the long term. 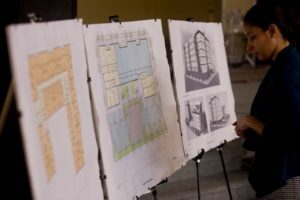 Aside from short-term inconvenience from construction, the new building is expected to have a positive impact on the neighborhood. The design is intended to be responsive to the existing neighborhood, balancing the need for more housing with the scale and feel of the surrounding neighborhood. Q: How big will the retail spaces be? Who will be able to rent them? A: Final details about the building’s storefront commercial areas are still being confirmed as PCRI negotiates with prospective tenants. 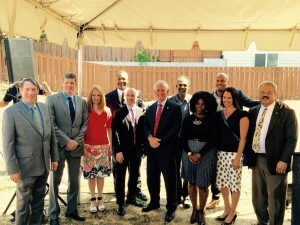 In February 2016 and again in September 2016, our development team hosted retail charrettes, inviting participation and feedback from local small business owners, representatives from the Oregon Association of Minority Entrepreneurs, Portland Development Commission, the commercial real estate industry, and others. While these meetings did not answer all of our questions about the retail needs and challenges for the building, it began an ongoing conversation to better determine what size and type of space will best serve the neighborhood as well as what businesses might be successful in this location (and what support the businesses need to succeed). Q: How do I know the site is not environmentally contaminated? A: At the time the original Grant Warehouse buildings were torn down, the Oregon Department of Environmental Quality (DEQ) inspected the site, and issued “No Further Action” decision, confirming clean-up had been satisfactorily completed. To provide further assurance that the site does not pose health risks to future residents or neighbors, the PCRI-Gerding Edlen development team has hired GeoDesign, a third-party consultant to complete independent environmental inspections. Read here for additional details about what clean-up was previously completed and what additional inspections are proposed. Q: How much parking will there be? 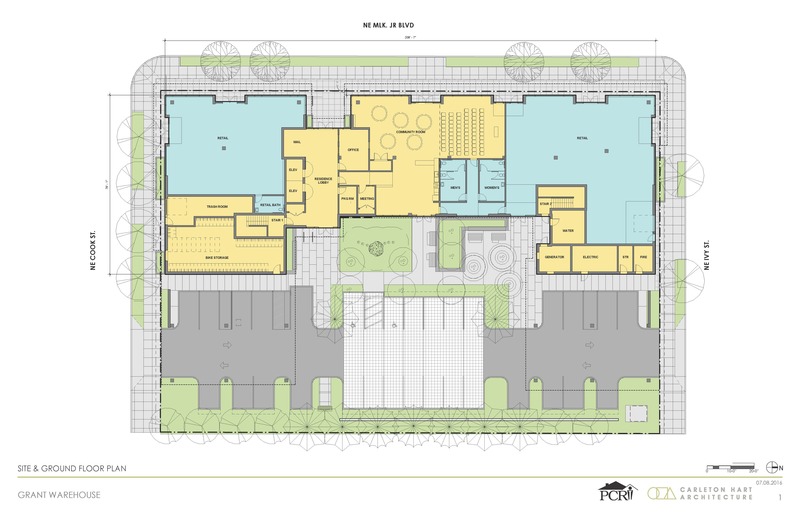 A: Details about the amount of parking that can be accommodated on the site is still being evaluated as our project team seeks to find a balance between developing the site’s housing and commercial retail space efficiently and cost-effectively while minimizing impacts to the existing neighborhood. Preliminary designs include 28 off-street parking spaces, which exceeds the City of Portland’s minimum parking requirements for development at this location. Per unit, this quantity of parking is also greater than other new developments nearby. Selection criteria for commercial retail tenants will also consider parking needs to help ensure businesses’ success as well as minimize impacts to the neighborhood. 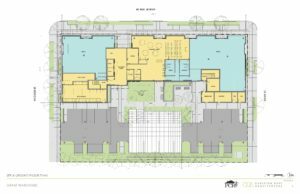 As currently designed, parking is in a surface lot at the rear of the building and could be accessed from both Cook and Ivy Streets. The project team has considered underground and/or structured parking, but determined that the cost of developing such parking is prohibitively expensive and would not be consistent with our goals of prudent use of public funding.